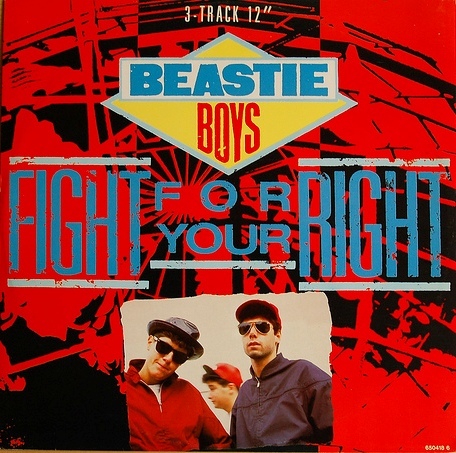 Fight for your right was in my top ten 80's tracks that I'd planned to post, but with the sad death of Adam Yauch, I posted this earlier than expected. I've never been a fan of Rap music, but now and again you just get a great song, which this is one. I first heard this on my brothers stereo, back in 1987, I didn't like it at first but it soon won me over and I bought the album, Licence to Ill.
Fight for your right reached UK No 11 and US No 7. I have the record in my collection and yeah it still sounds good. So very sad about his death.